Steven Spielberg will receive the Liberty Medal from former President Clinton at the Nation Constitution Center. Writer/producer/director/humanitarian/geek deity Steven Spielberg will be honored for his stories portraying the triumph of humanity over tyranny as well as his Holocaust charity work. 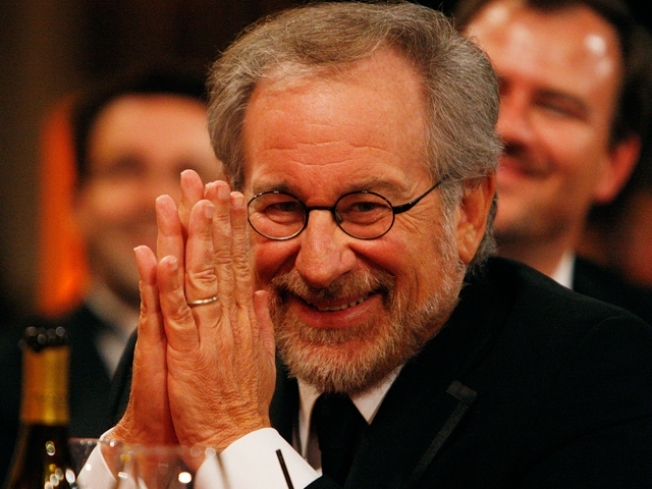 Spielberg will be awarded the 2009 Liberty Medal at the National Constitution Center today at 6:30 p.m. He'll be acknowledged for his films, as well as his work archiving the testimonies of survivors and other witnesses of the Holocaust to ensure that future generations will never forget the tragedy of liberty lost. “The Founding Fathers called upon each of us to serve as active participants in our democracy. Through his work in film and philanthropy, Steven Spielberg has heeded that call by reminding us of the power each of us has to make a difference,” National Constitution Center President and CEO Linda Johnson said. To add to the honor, former President Bill Clinton will present the award to Spielberg in the public ceremony. “Continuing in the National Constitution Center's rich tradition of honoring distinguished leaders who have shown a commitment to change through action, we have once again chosen a highly deserving champion of freedom. I look forward to bestowing this award on my friend Steven Spielberg,” said Clinton, who is also the Chairman of the Center." Whoopi Goldberg, who made her big screen debut in Spielberg's "The Color Purple" will also speak on behalf of the much-admired director. Spielberg was the man behind films like "Empire of the Sun," "Schindler’s List," "Amistad," and "Saving Private Ryan," and the acclaimed HBO series "Band of Brothers." He also established the Survivors of the Shoah Visual History Foundation in 1994 to chronicle and preserve video and oral histories of survivors and other witnesses of the Holocaust. The collection is the largest of any kind and now holds 52,000 videos with 105,000 hours of testimony in 32 languages, representing 56 countries. “It will be a great pleasure for me to receive this award. It’s truly humbling to be added to the distinguished list of past recipients, a group of men and women whom I admire deeply for their commitment to educating the world about the importance of freedom and the blessings of liberty,” said Spielberg. Past recipients of the awards include Nelson Mandela, Shimon Peres, Kofi Annan, Sandra Day O’Connor, and former Presidents George W. Bush and Bill Clinton, who won in a joint prize. Last year's winner was Mikhail Gorbachev, the former Soviet leader who helped end the Cold War.